Everything you need to know about successful party planning, with advice on making guest lists, seating plans, table settings, decorations & themed parties, & essential entertaining tips Useful information on planning the menu, preparing the food & cooking ahead, plus tips on selecting perfect drinks for the occasion. Choose from a huge collection of appetizing favorites including simple nibbles, finger food, dips & dippers, & recipes for informal brunches, lunches, & suppers. Make stunning buffet centerpieces or dishes for formal entertaining such as dinner parties & festive occasions. Dine outdoors with popular dishes for all fesco lunches, barbecues & picnics that include stylish salads, breads, grills, & delicious desserts & cakes. 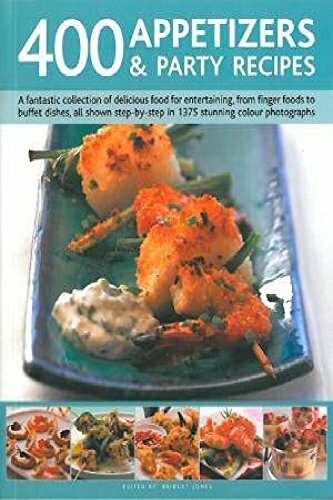 Over 400 easy-to-follow, step-by-step recipes with more than 1000 color photographs will help you create the perfect party.